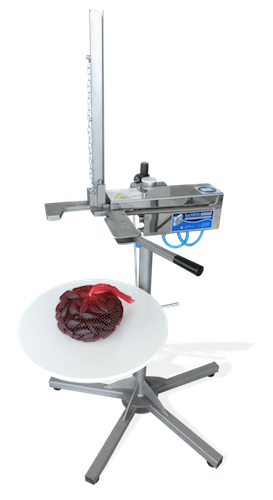 The manual bag closer allows the sealing and labeling of shellfish or other products in bags up to 25 kg in weight using aluminium clips of various sizes. 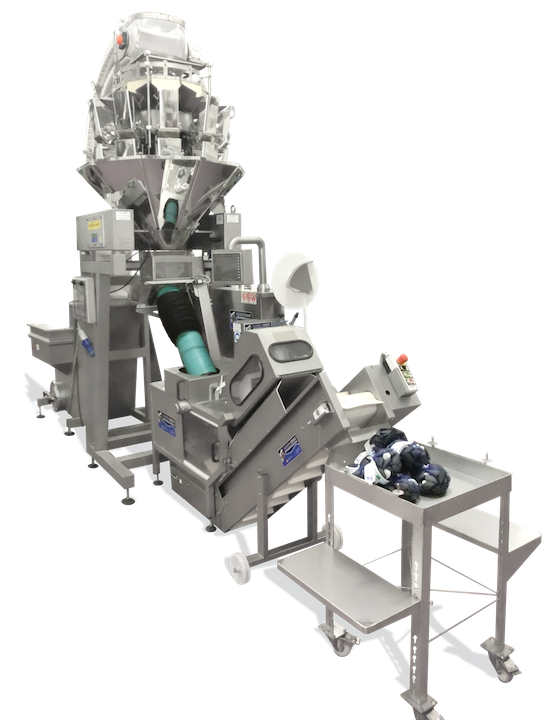 The best solution for every kind of need in the shellfish packing sector, the manual bag closer is a machine dedicated both to small productions (fisheries and traders) and to the biggest shellfish dispatch centers. 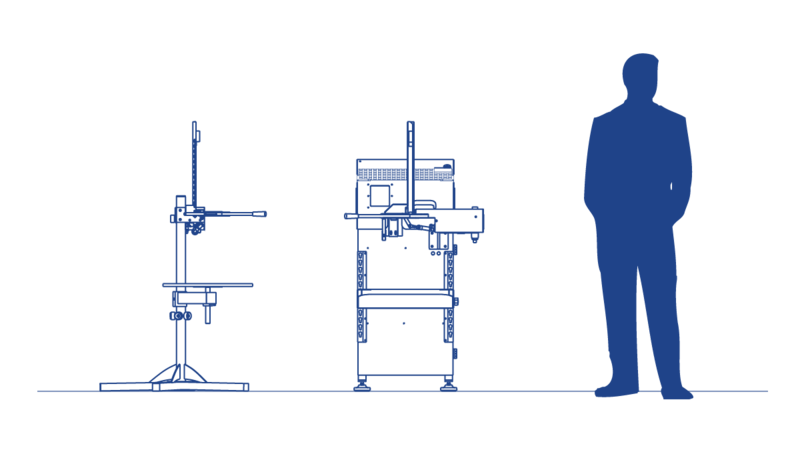 In fact the machine offers the possibility to close and label bags of big volume, even with products that, because of their characteristics, is not possible to pack with automatic machines. 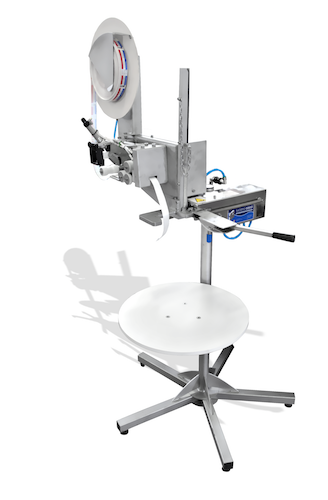 The bag closer is available in many models, to work with clips of 2.5, 3 or 4 mm of wire diameter. 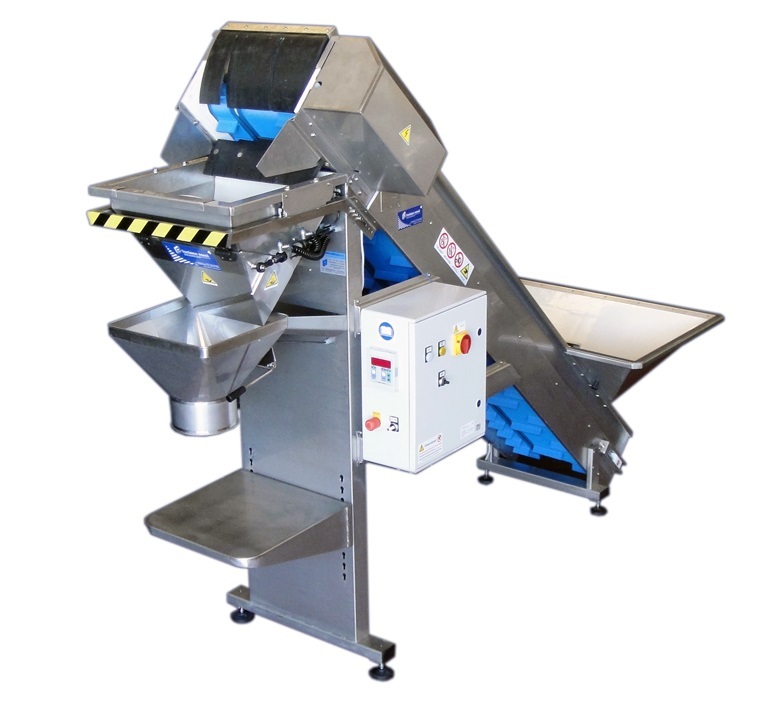 The machine can also be used with clips of different length, in order to close bags of different thickness. 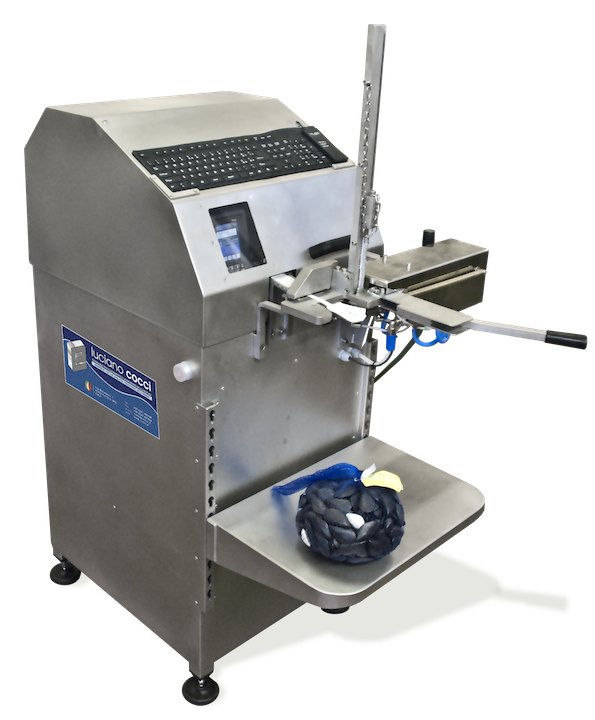 The manual bag closer can be integrated with a labeling and stamping system that allows to apply food-grade plastic straps to the bags. These "ribbon" labels are pre-printed on one side with all the information relating to the company and the packaged product, while on the back it is possible to stamp the date, batch number or other short variable data using a pneumatic stamping / punching system. 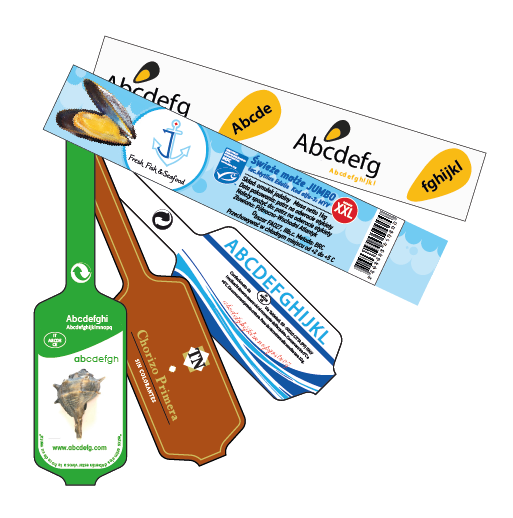 This type of labeling is suitable for those who work only one or two types of products and do not have access to stable power supply sources, such as floating shellfish shipping centers (on board fishing boats). The version with the thermal printer allows to write all the data regarding the product to be packed on tag labels pre-printed with the logo of your company, as required by the local sanitary regulation (for example scientific name, catch zone, packing date, lot number, barcode, etc.). The product to pack can be set through a waterproof qwerty keyboard made in high resistance plastic material. The thermal printers stores the product data in an internal database, that can easily be modified using a propietary software on any computer, and updated using a simple USB key. A stainless steel cover protects the printer, that is an industrial model with a solid structure made of metal and high resistance plastic material, ready to be used in the harshest environements. The bag closer cut the printed label and seal it firmly on the bag together with the aluminium clip, all in one operation. The printer has also an Ethernet port, through which it can be connected to the company network and to management software for the traceability of the product. Upon request, it is possible to install a wireless or Bluetooth communication board on the printer. This way, tha bag closer could be connected to the company network, and the data of the product to pack could be sent to the printer directly from the office of the production manager. The thermal printer is compatible with the thermal transfer method (for which plastic labels and ink ribbons must be used), but also with the simple and environmenally friendly direct thermal method, where the thermal head writes the data directly on tag labels made of protected thermal paper, a special waterproof material that is also resistant to scratches.